Performed general vehicle service on time and at a fair price. Where can I find new & used Chrysler Jeep Dodge Ram for sale in San Diego? 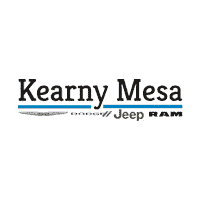 At Kearny Mesa Chrysler Dodge Jeep Ram, we know that when you’re searching for a new or used car, truck or SUV for sale in San Diego, CA, visiting us is the right choice, because you get plenty of different options in our diverse lineup. Whether you’re looking for a quality car with a touch of luxury, a sports or muscle car, adventure vehicles and SUVs, or light and heavy-duty trucks, we have it all, and are happy to help you find the one you’re looking for when you stop in and see our friendly and knowledgeable staff. Regardless of whether you looking for a New Chrysler Jeep Dodge Ram, or a Used Vehicle at our dealership, you can rest assured knowing you’ll drive away with. Need a New or Used Car Loan or Lease Financing that suits not only your current financial situation but your future fiscal goals? Our Financial experts are here to help you throughout the Financing process. We promise to always treat our customers with the respect and fairness that they expect of us. And even after signing the last dotted line, Kearny Mesa Chrysler Dodge Jeep Ram remains committed to serving you. To ensure you’re satisfied with your driving experience for many years to come, we will be here to provide you with any parts you might need. Or, if you’d rather do something other than tinker on your car over the weekend, Schedule your vehicle service today..
You don’t have to take our word for it though; come visit the Kearny Mesa Chrysler Dodge Jeep Ram located at 8010 Balboa Avenue, San Diego, CA 92111 today! Whether you’re a local driver or you hail from the surrounding La Mesa, National City or Poway areas and beyond, we’ll strive to give you the best dealership experience we can muster. Come for the cars, come back for the camaraderie. Call 858-215-5824858-215-6193 today for pricing, availability, service, parts, accessories, and more!